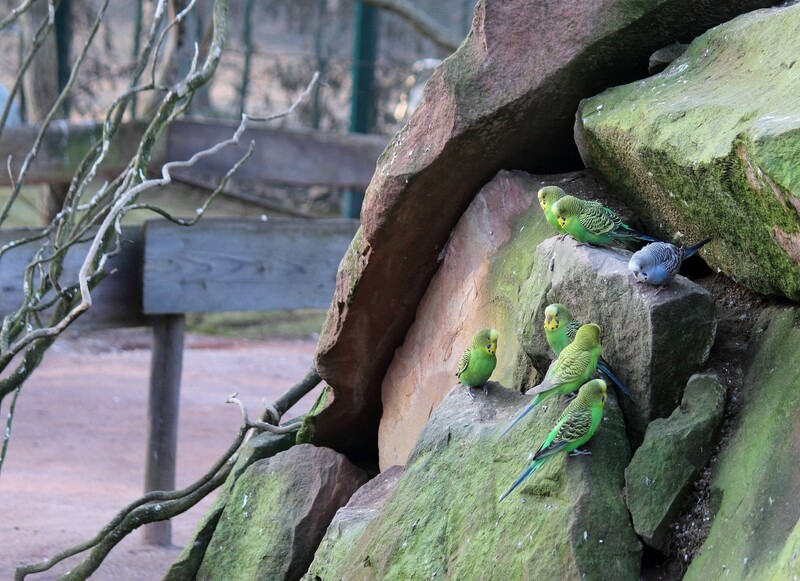 While it was already pretty late in the day and in addition very cold and windy I still wanted to go for a quick visit to the Tiergarten. 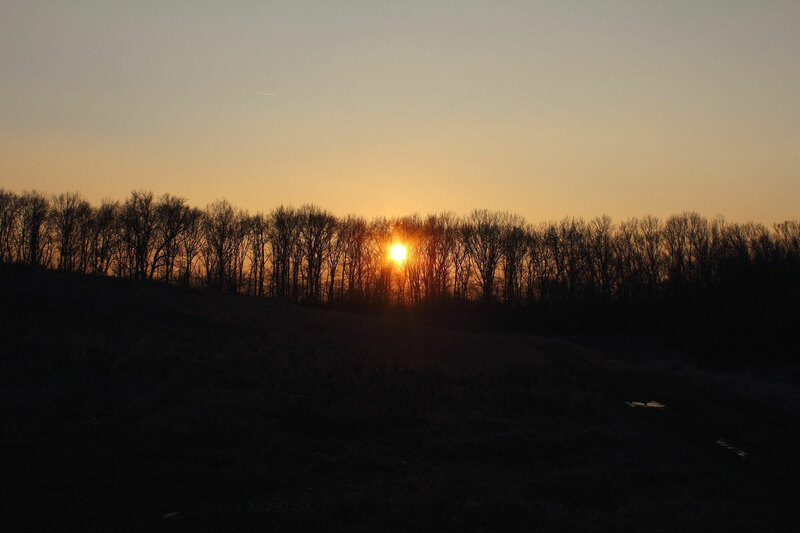 The sun was out so I figured it would be worth it. 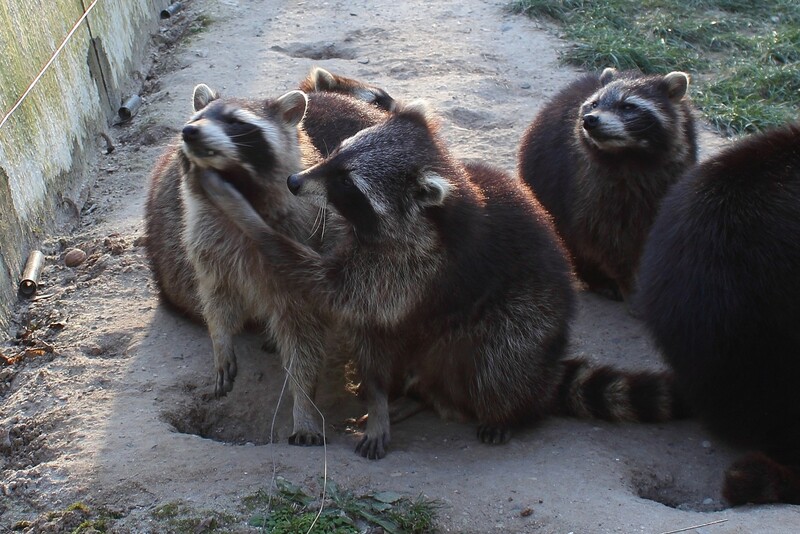 And it turned out that I was right. 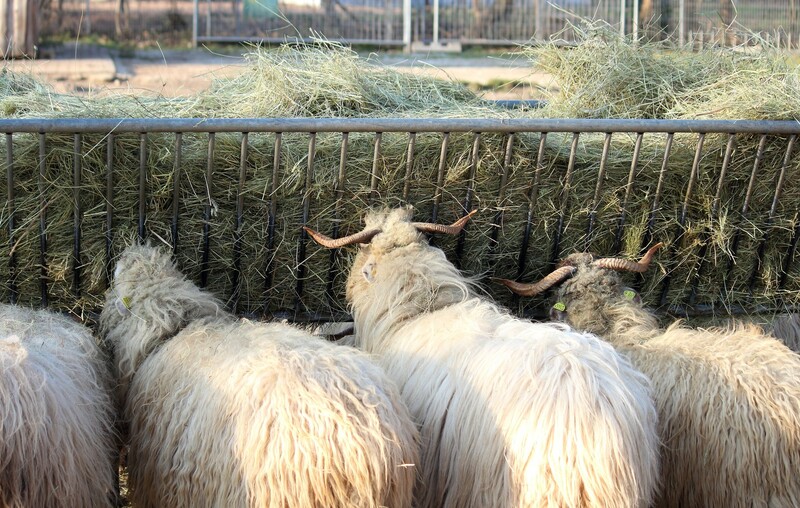 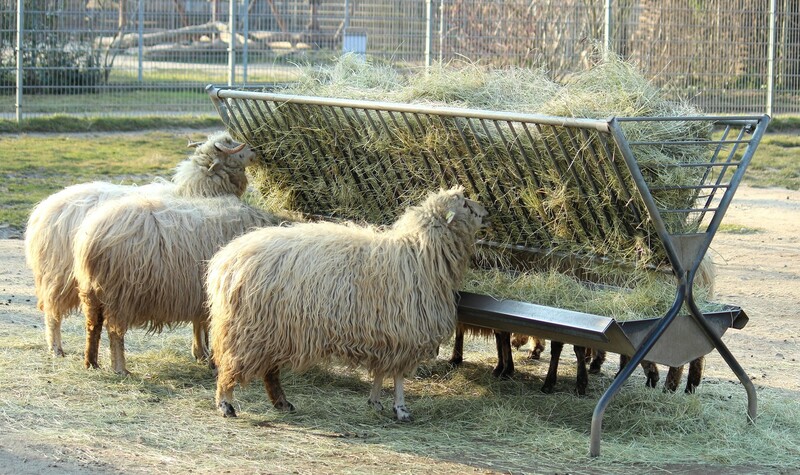 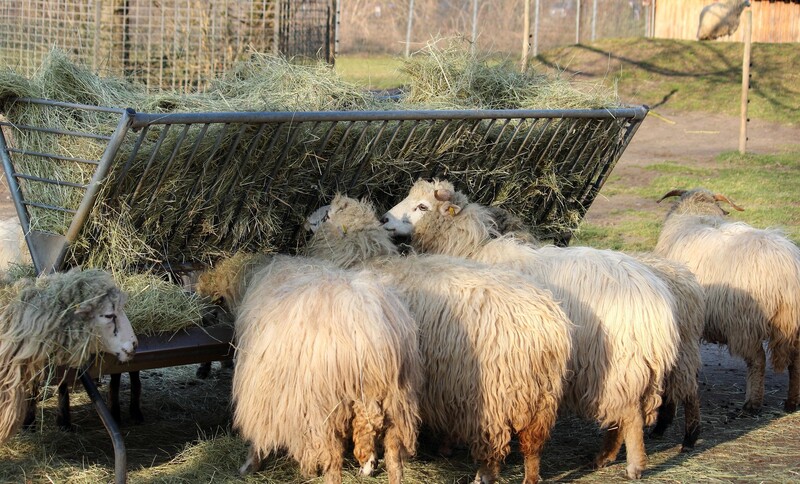 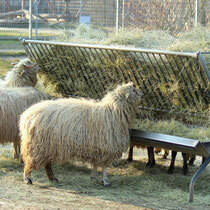 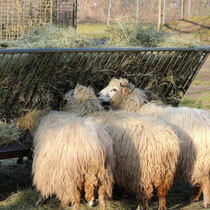 There is something strangely calming about watching sheep feeding on hay. 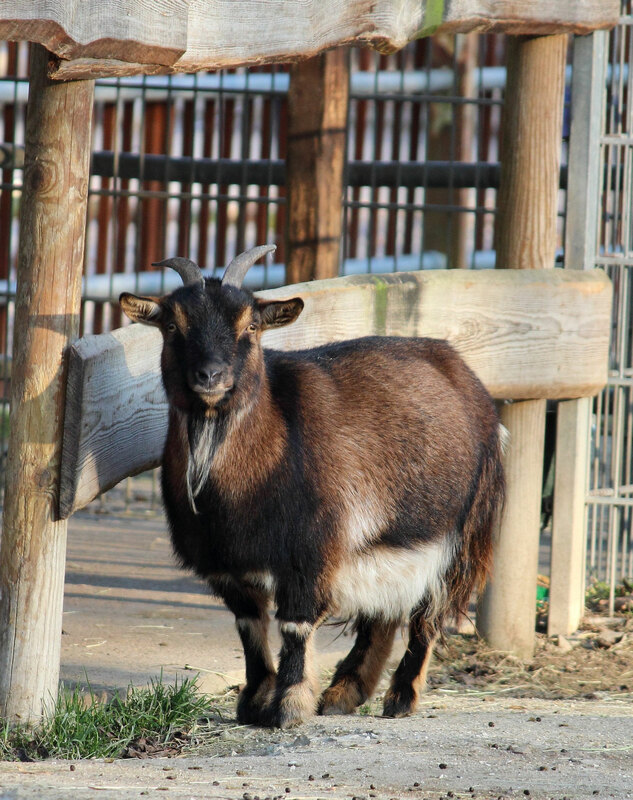 In the next pen a goat braved the wind. 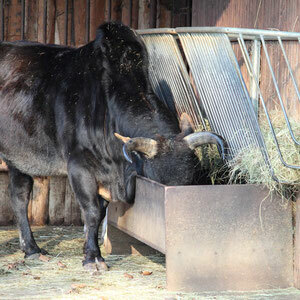 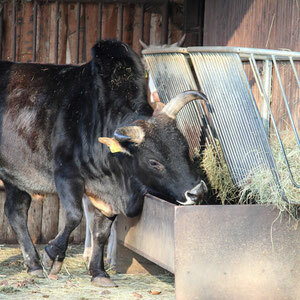 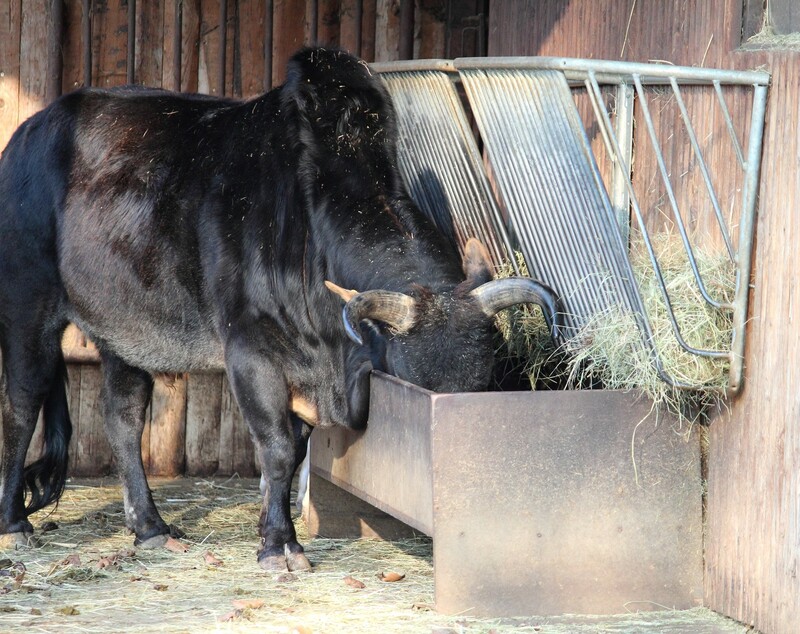 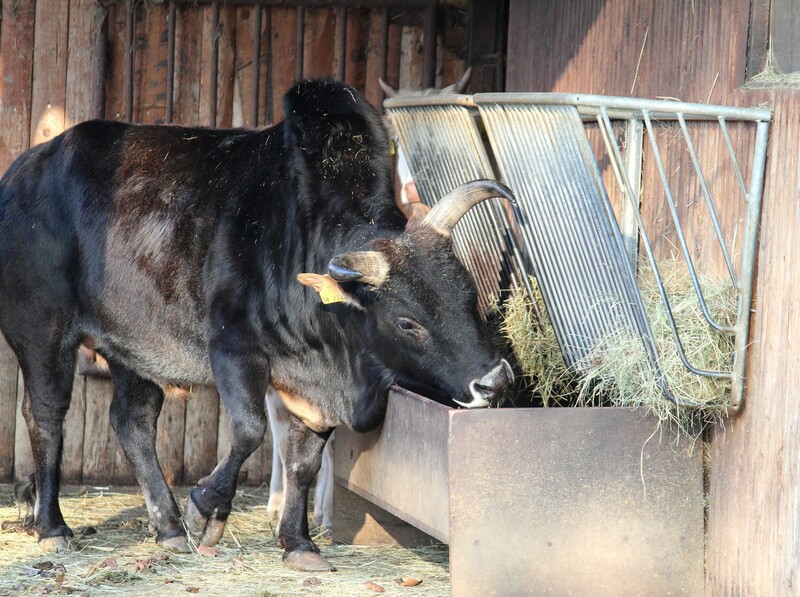 This large bull was pretty impressive - even when he was just munching on hay. 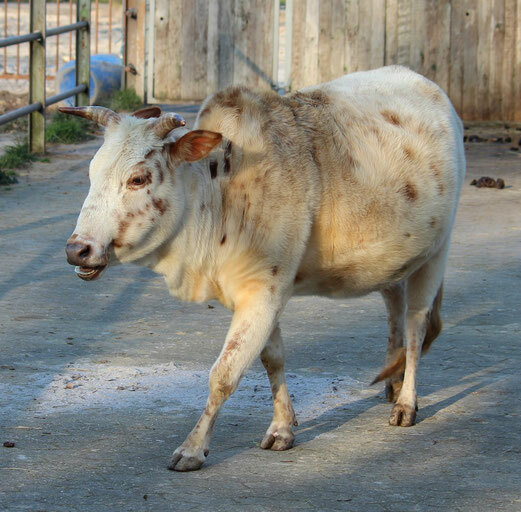 I have no idea what this cow was complaining about - but complaining she did - and loudly, too. 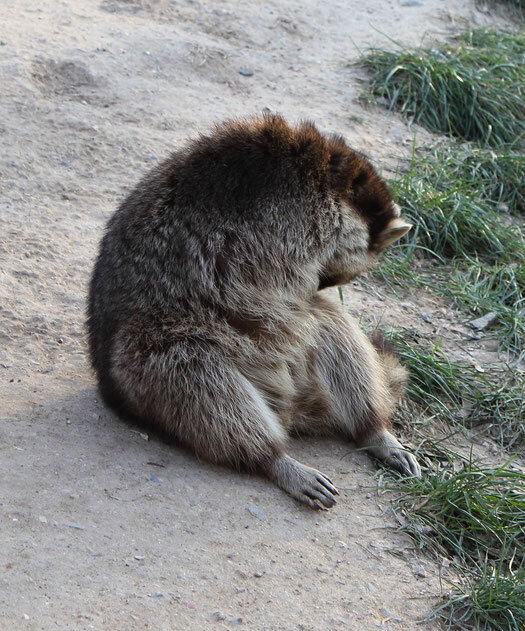 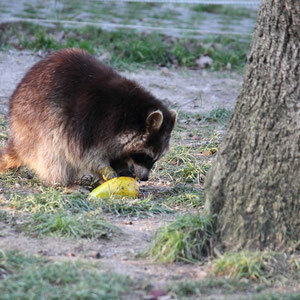 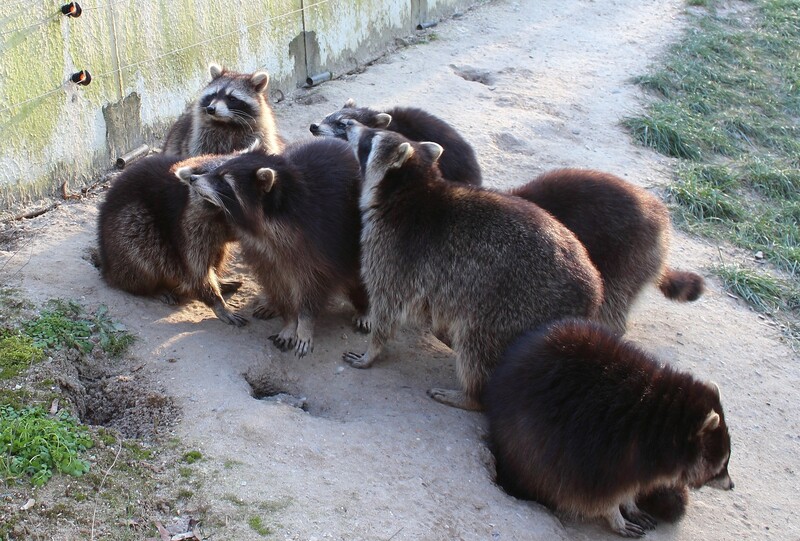 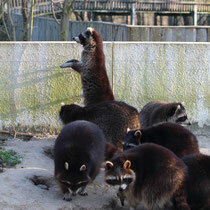 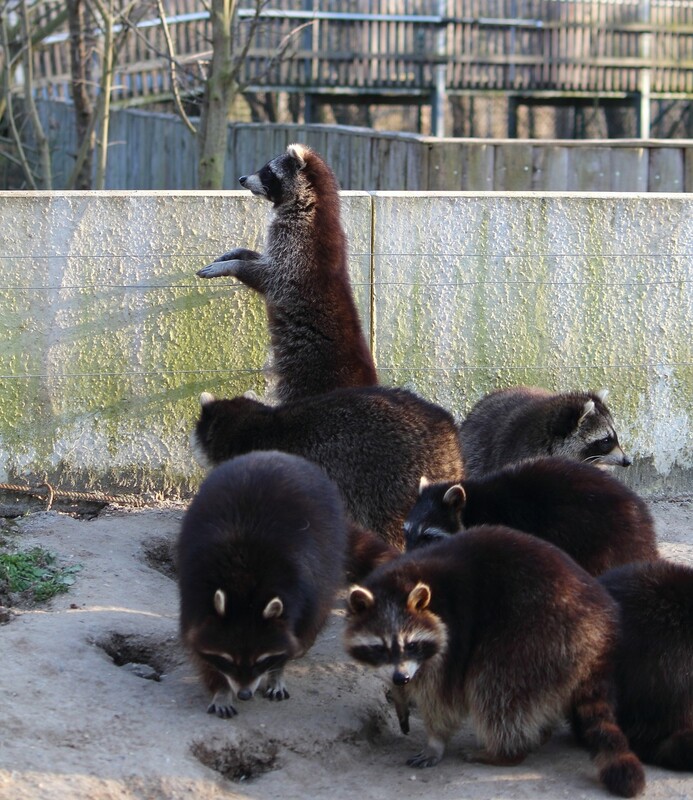 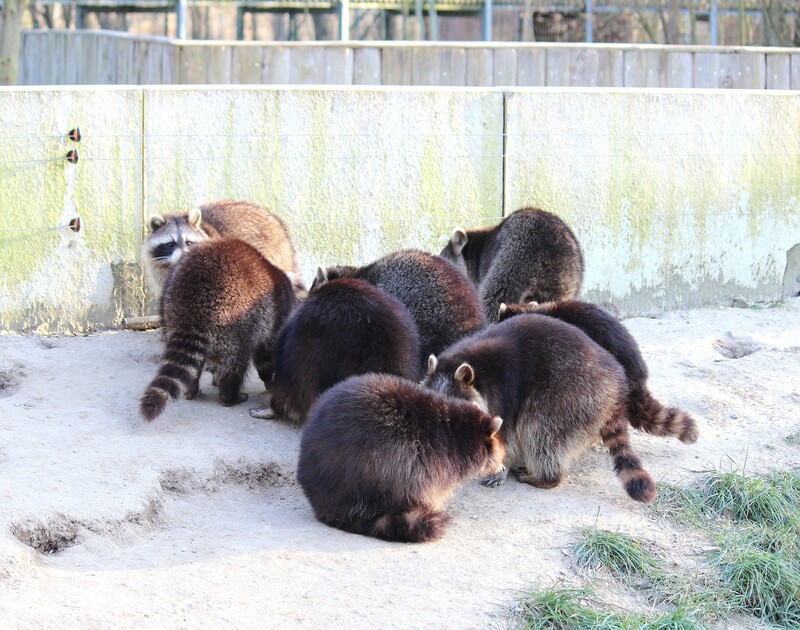 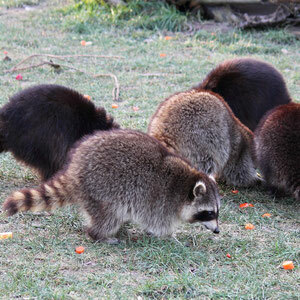 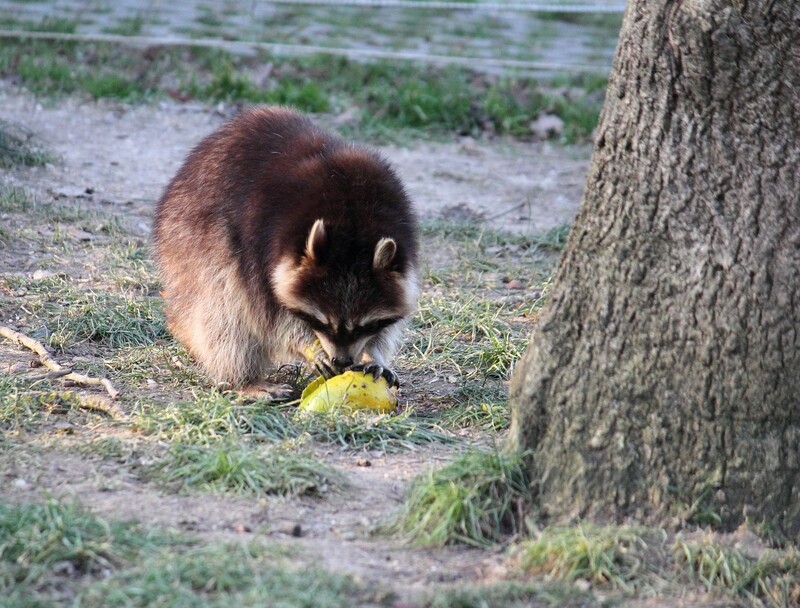 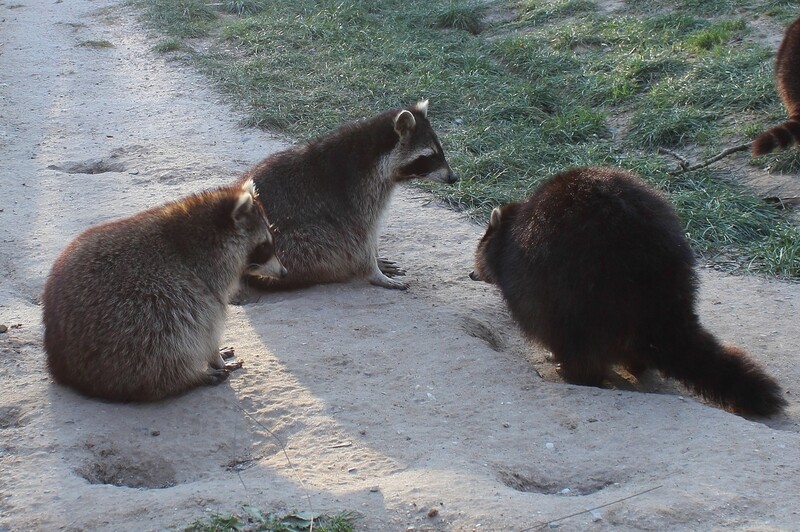 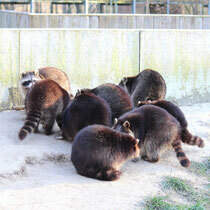 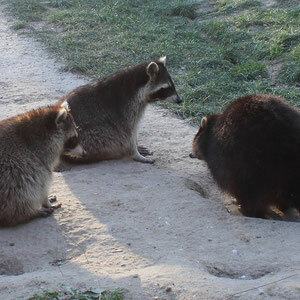 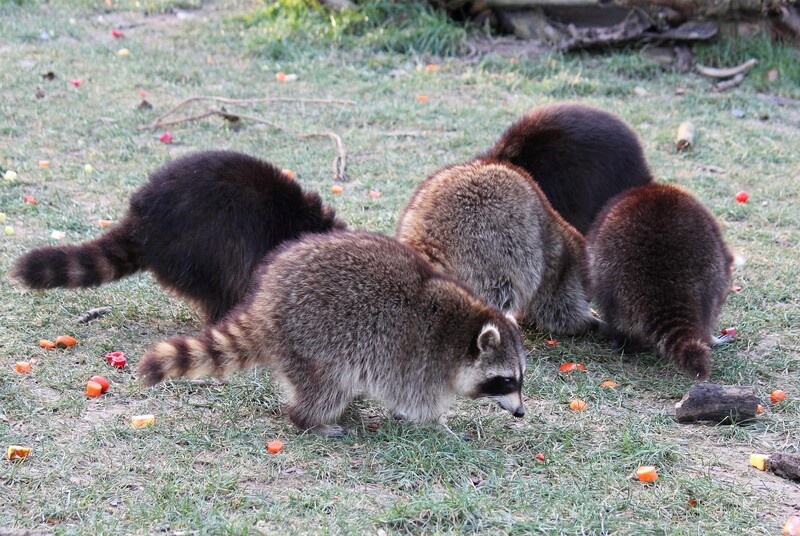 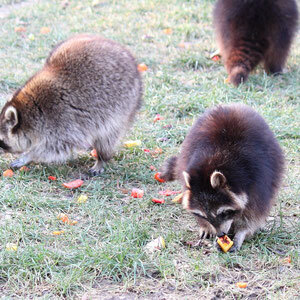 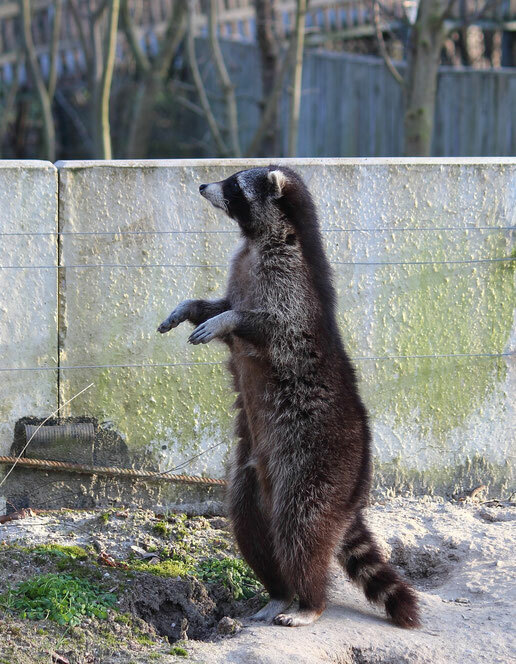 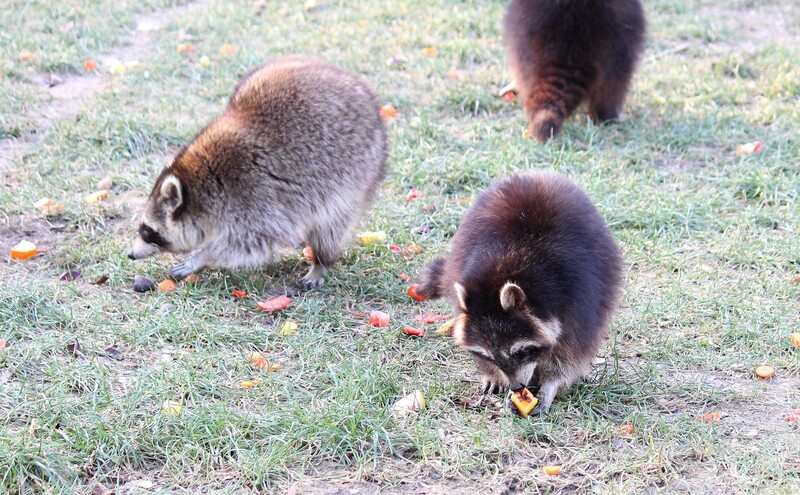 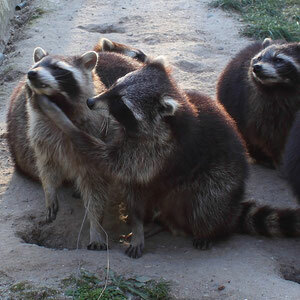 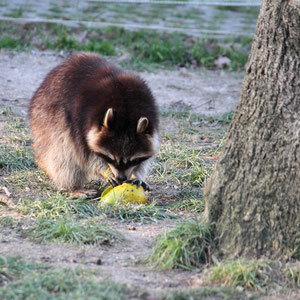 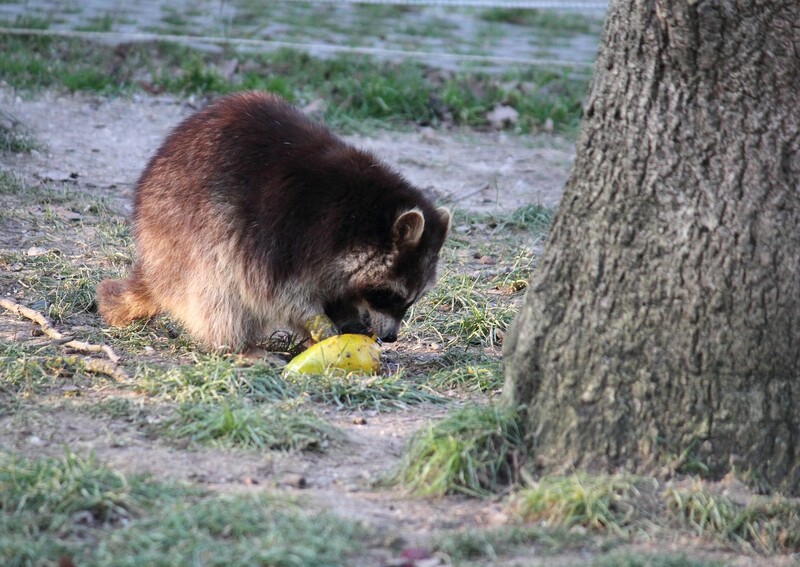 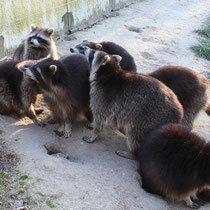 I visited the racoon compound next. Turned out they had someone on lookout. 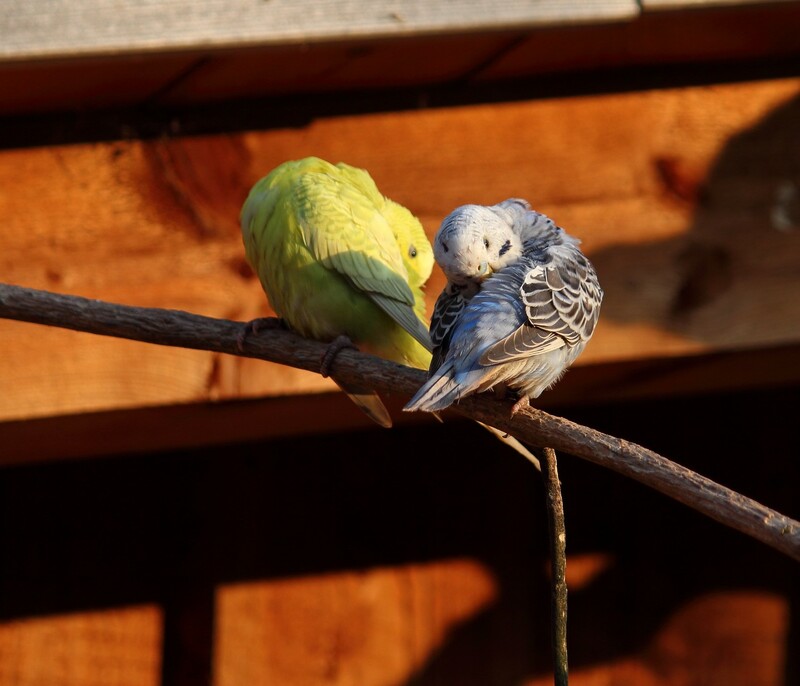 They stuck pretty much together - most likely for warmth. 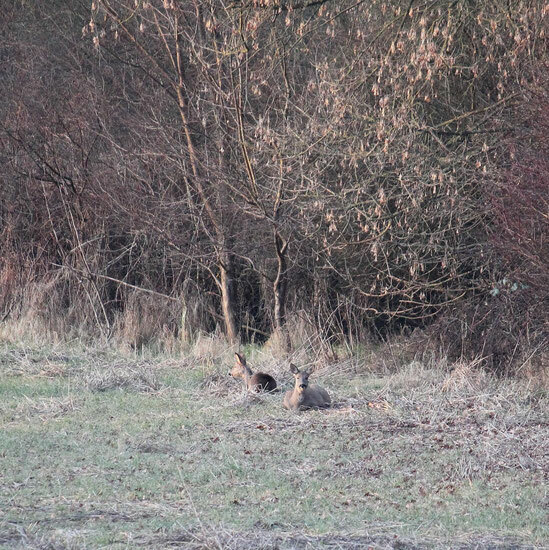 Two of them were having some sort of quarrel - and seemed to be sitting on the penalty bench together shortly afterwards. 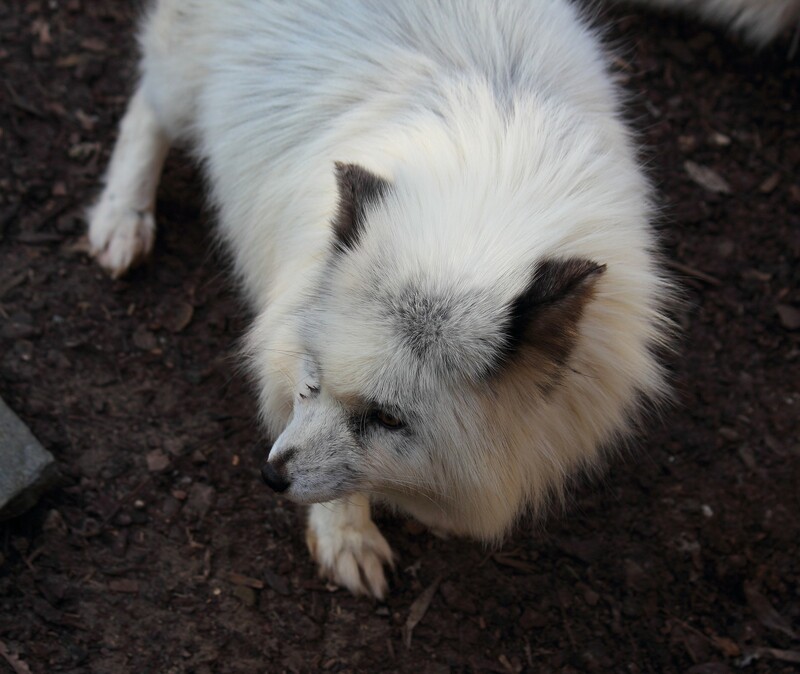 Regrettably I never got this one from the front, but I really loved those tiny paws. 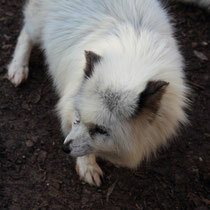 Moving on to the fox pen there was sadly only one of three out. 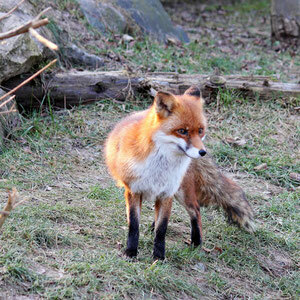 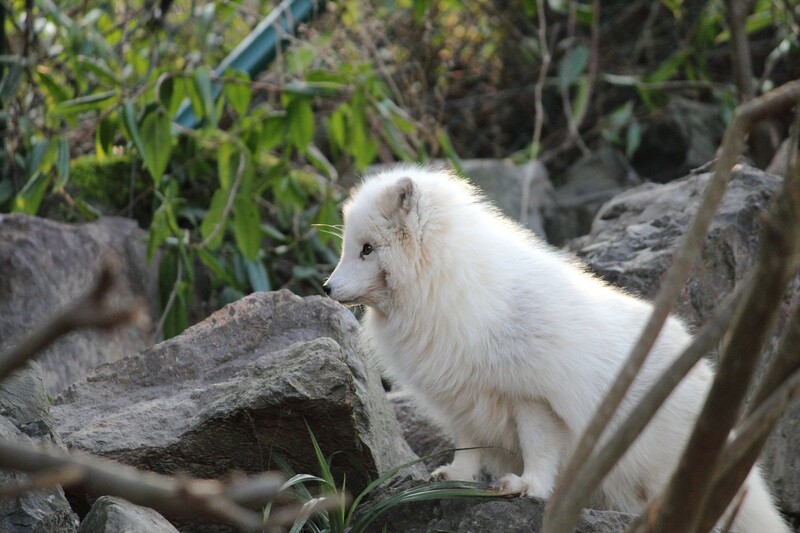 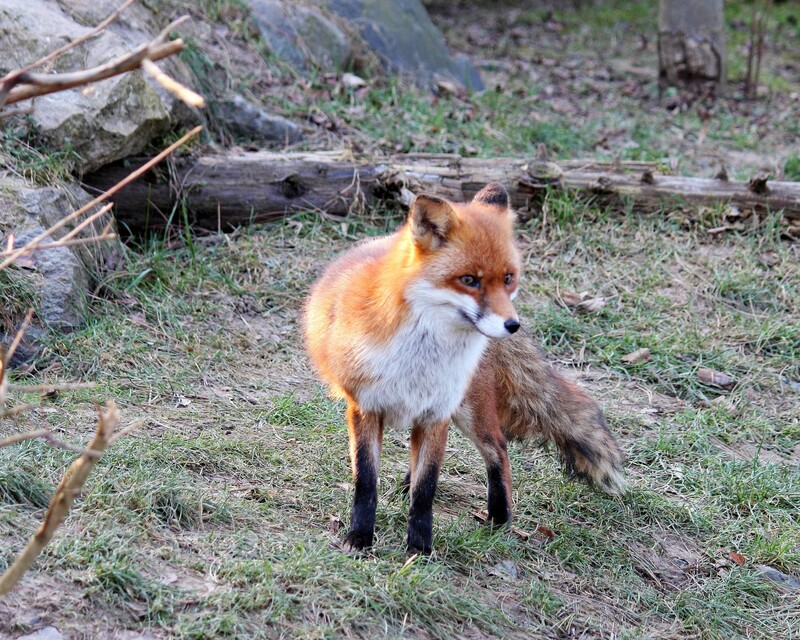 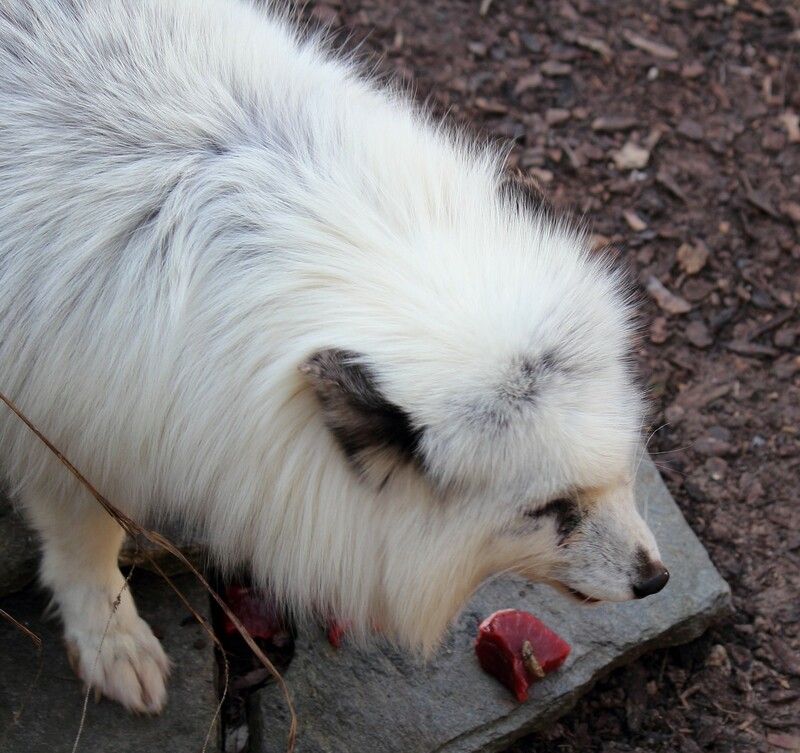 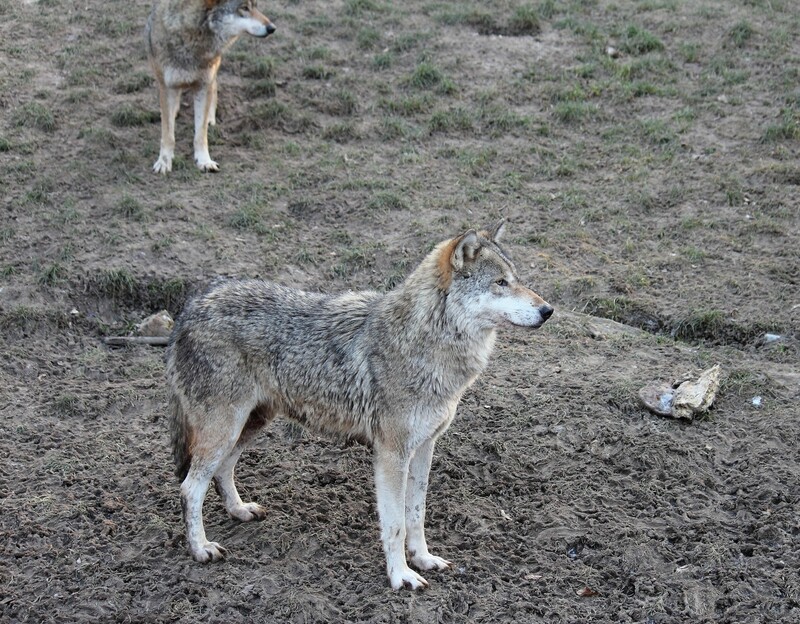 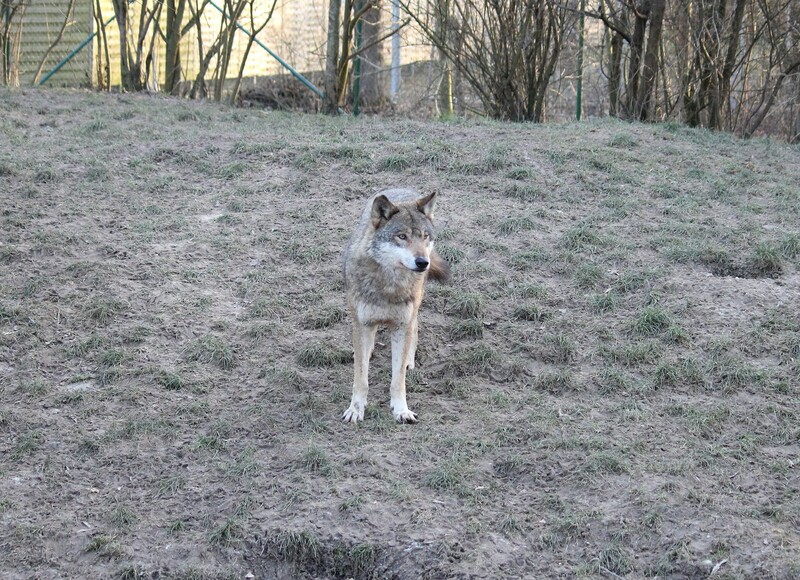 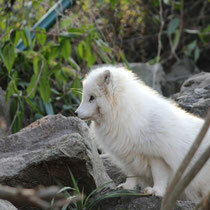 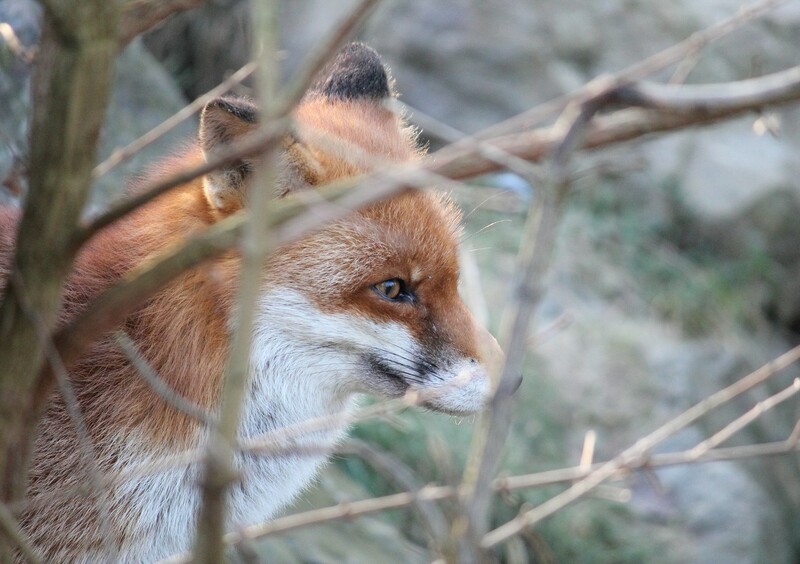 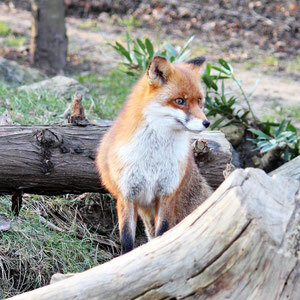 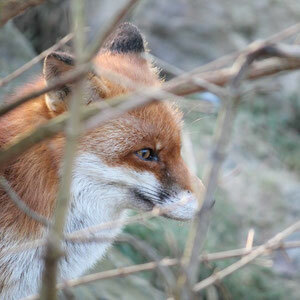 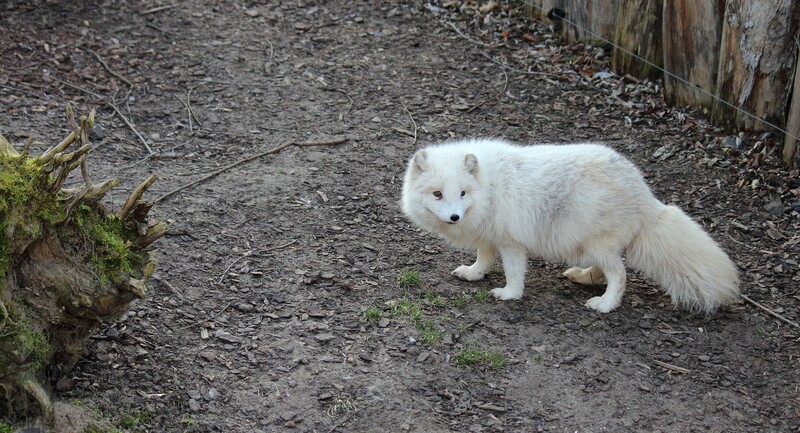 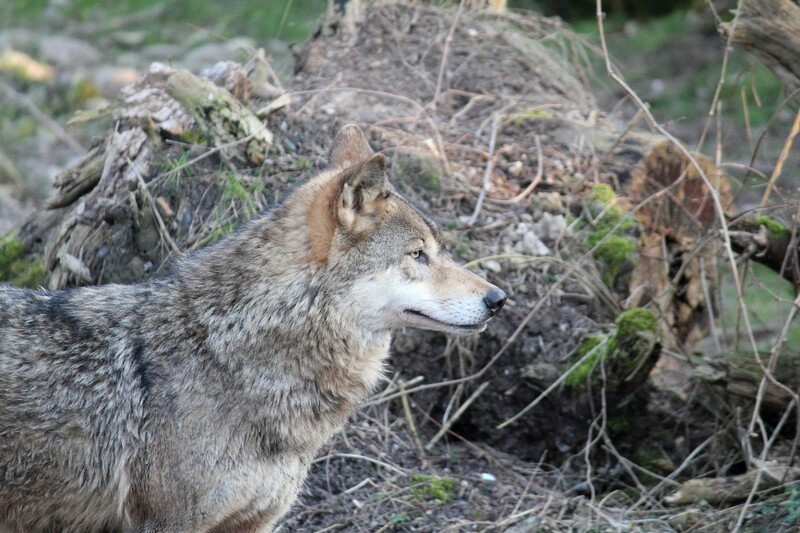 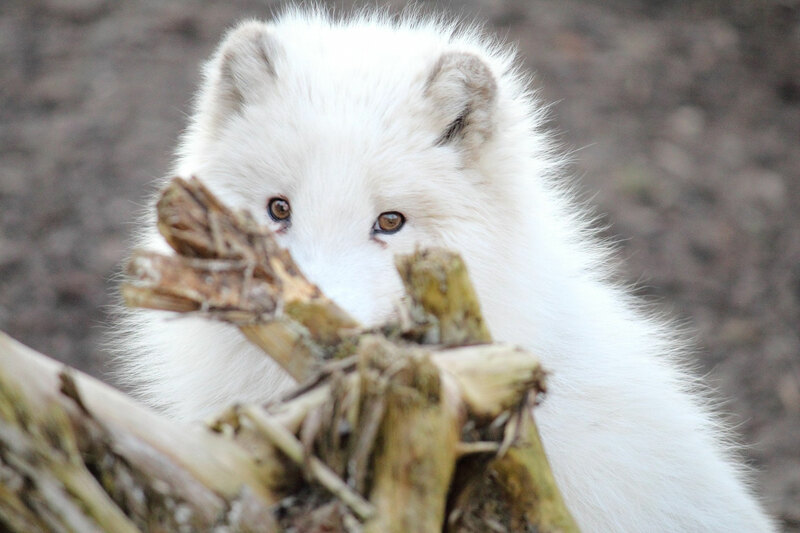 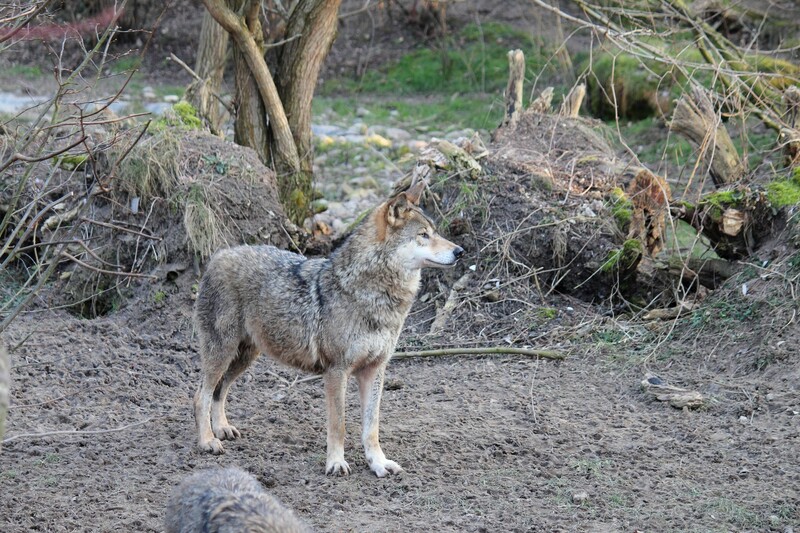 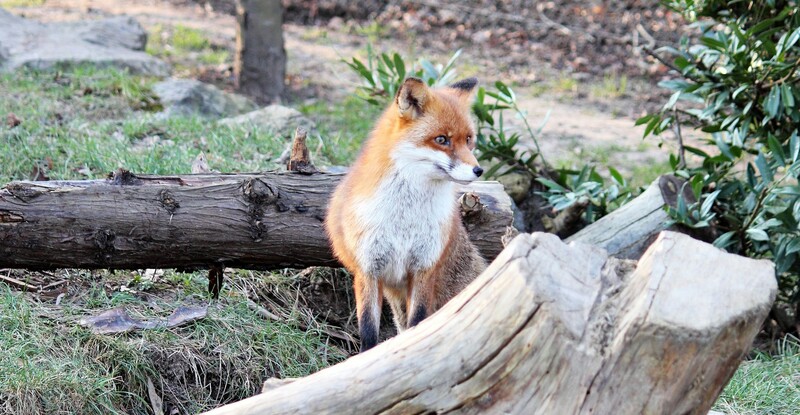 He was looking so intent, because the keepers were distributing meat over at the arctic fox pen. 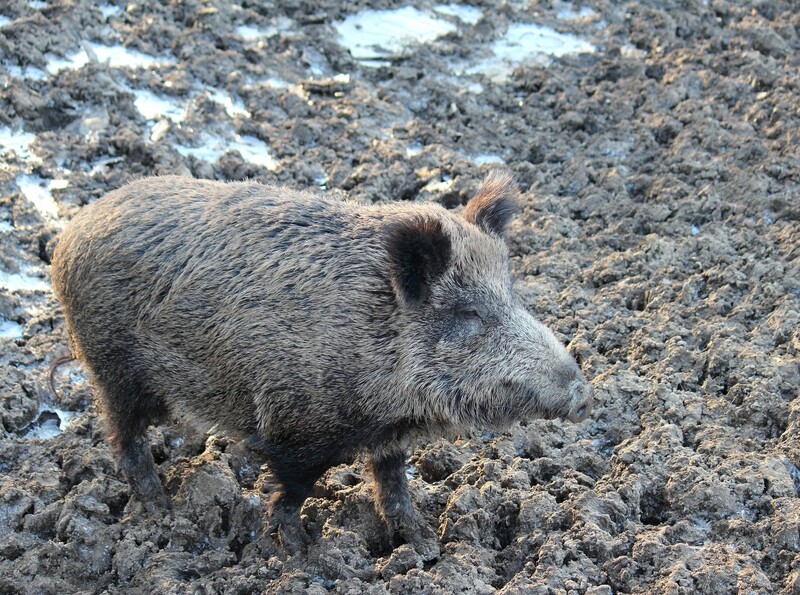 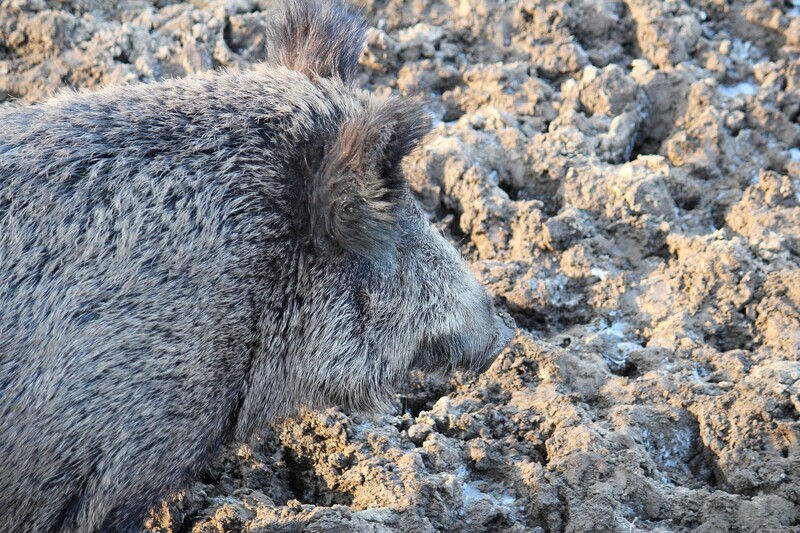 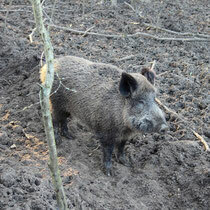 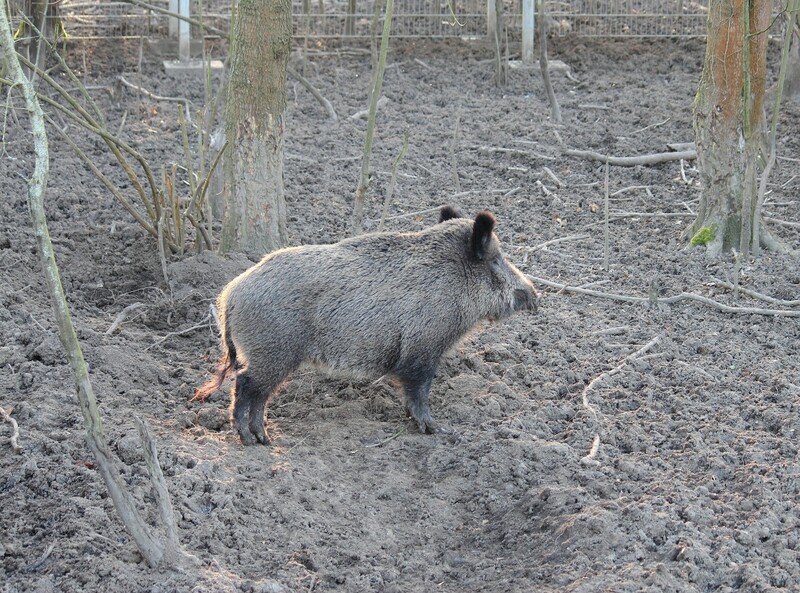 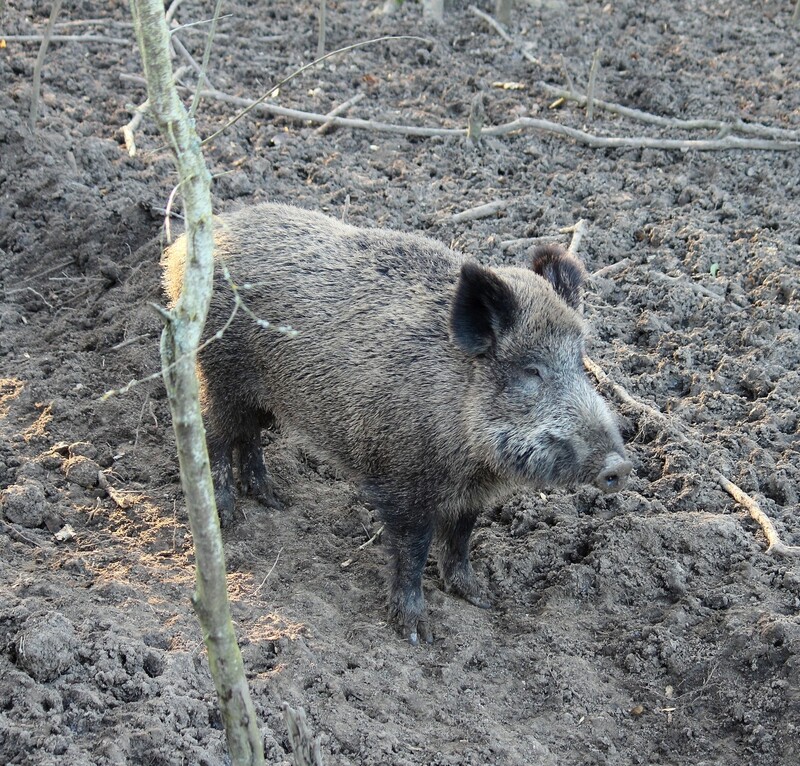 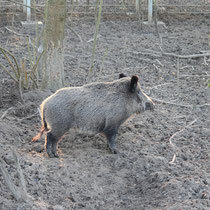 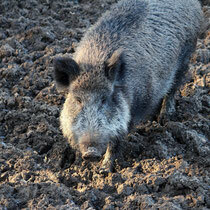 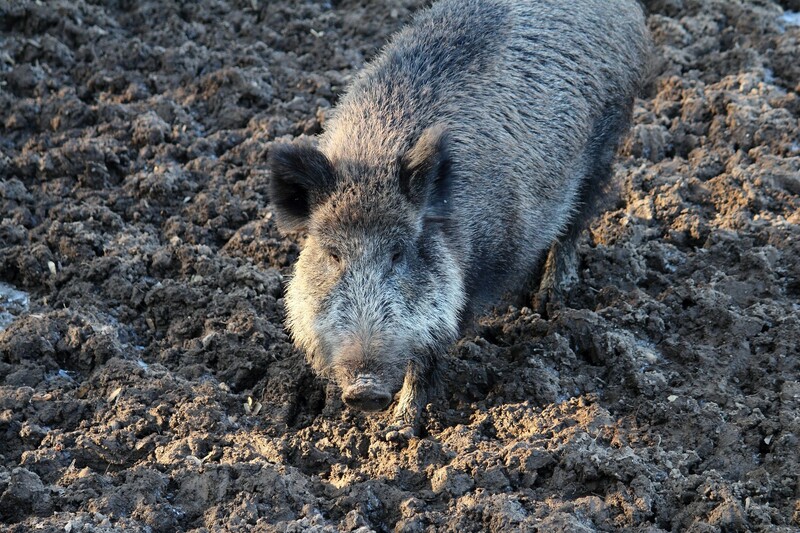 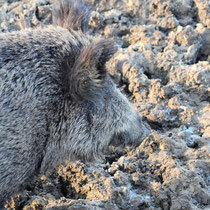 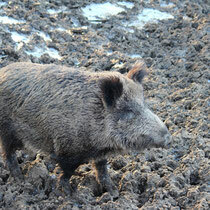 As you can see the muddy ground is just perfect for wild boars. 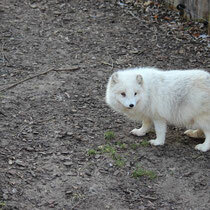 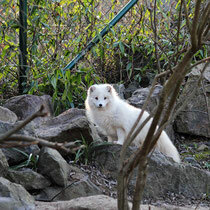 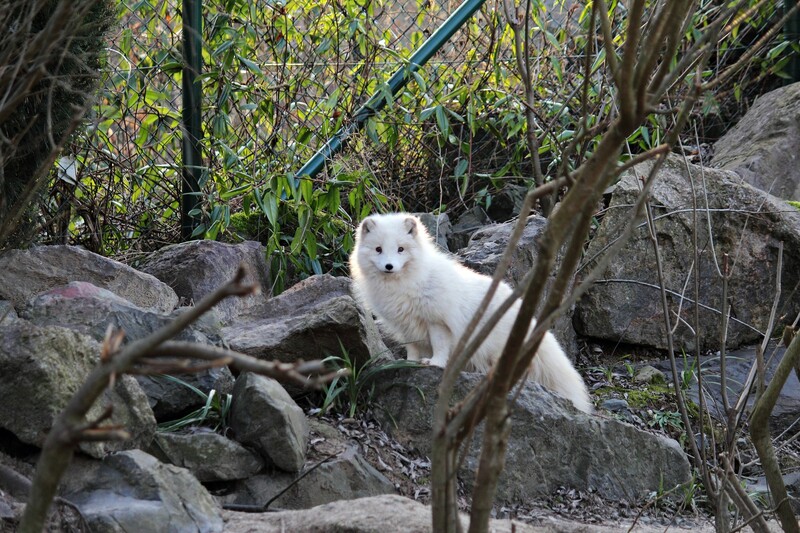 Next I visited the arctic foxes who were just getting their evening meal. 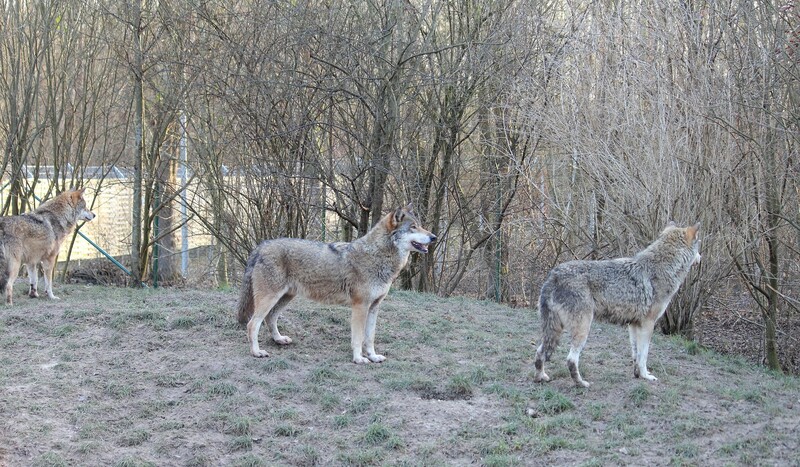 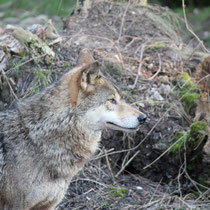 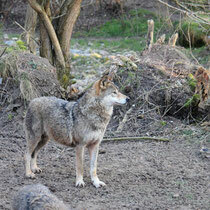 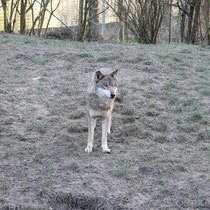 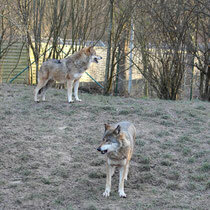 Of course I had to pay the wolves a visit too. 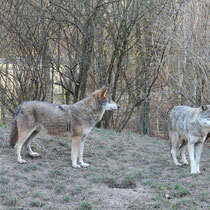 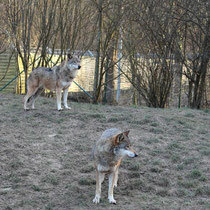 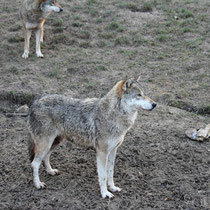 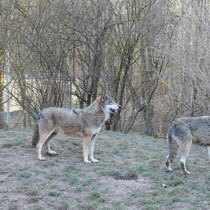 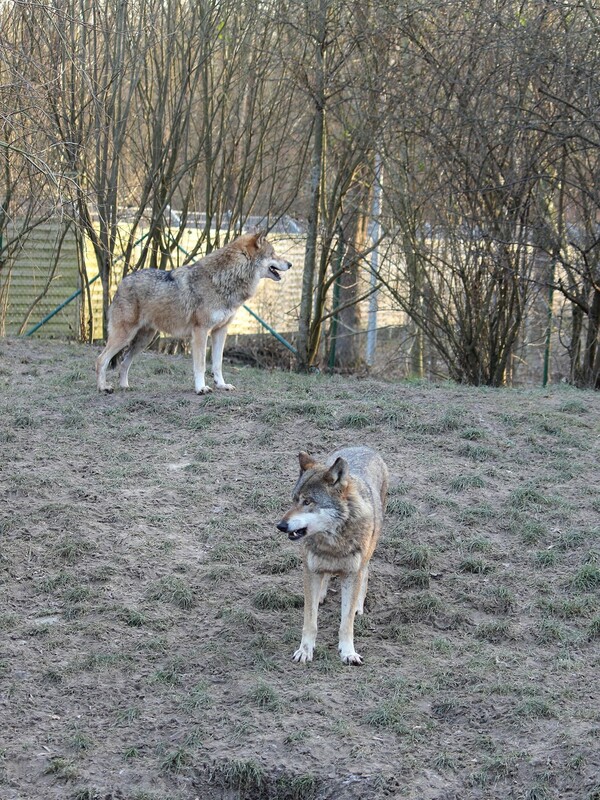 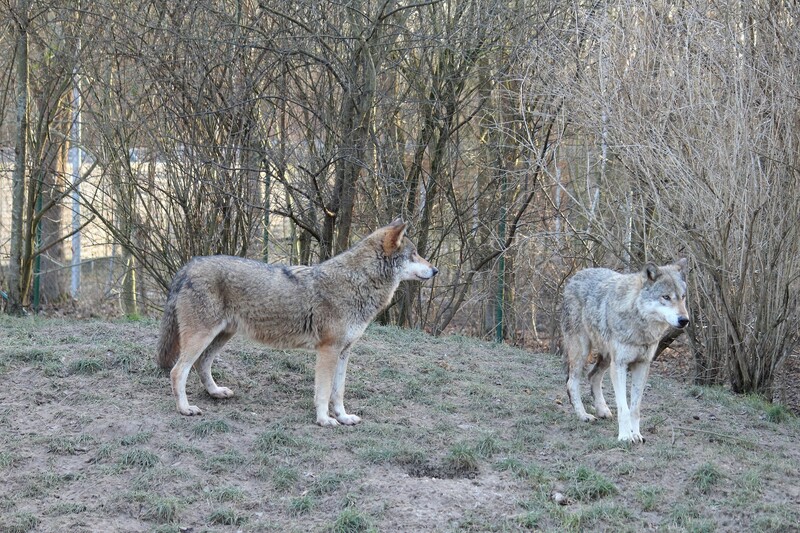 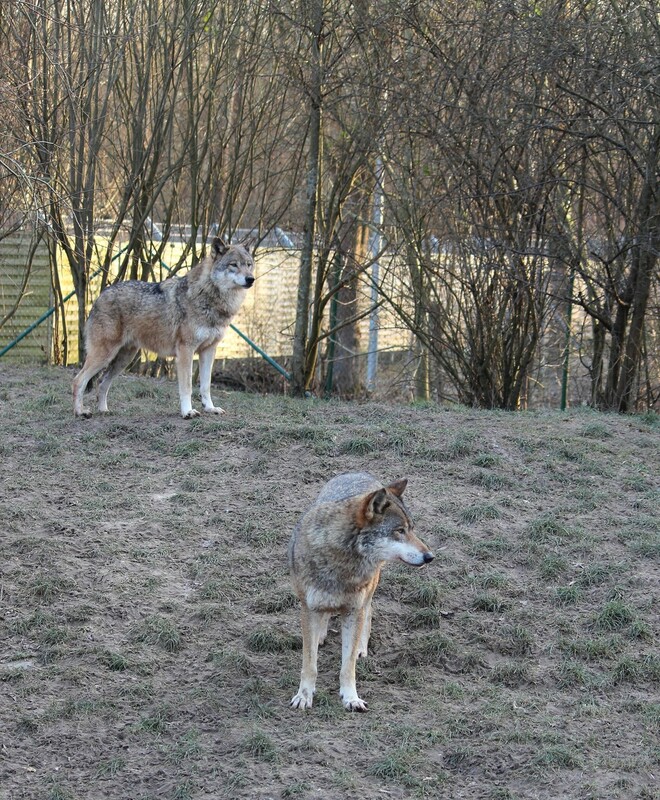 It was a "Wolf Night" so they were pretty restless due to not having been fed yet. 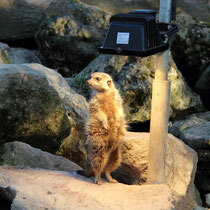 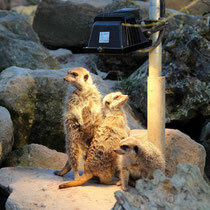 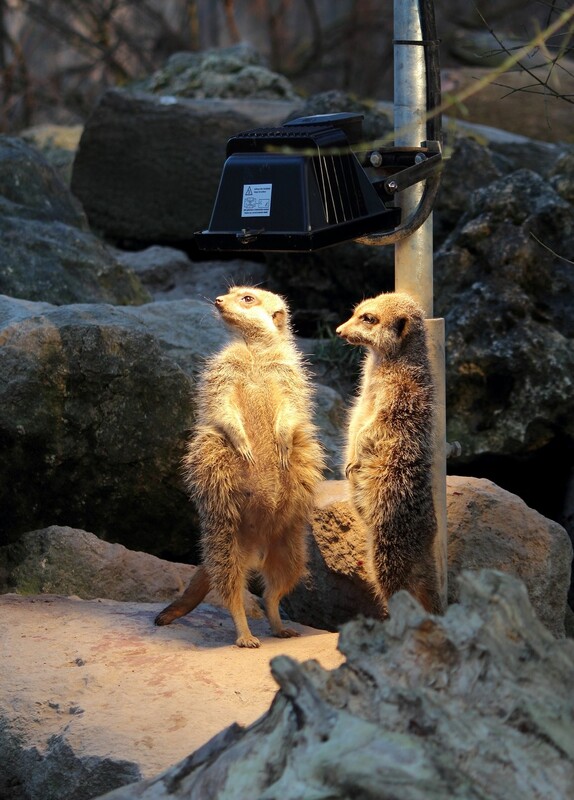 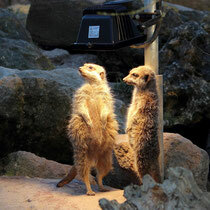 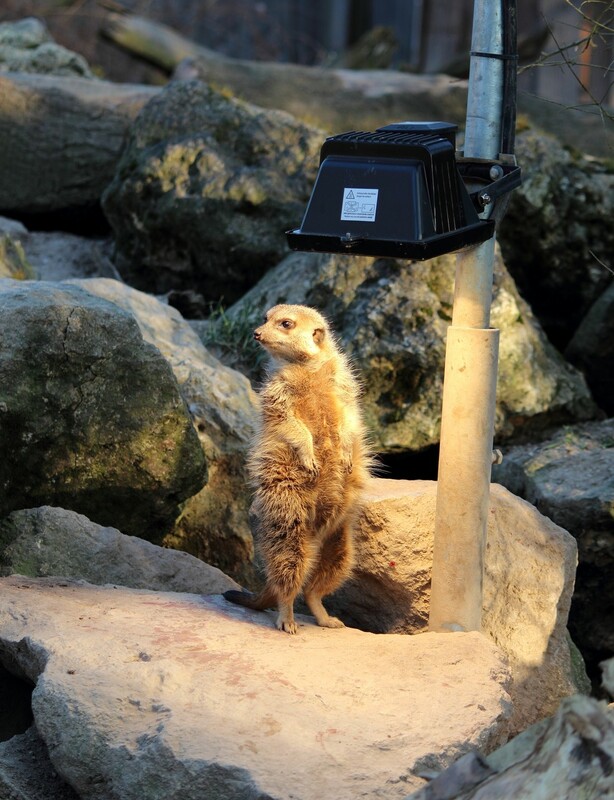 The meerkats really love their heat lamp. 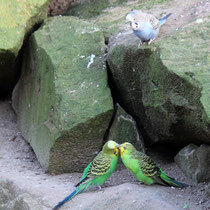 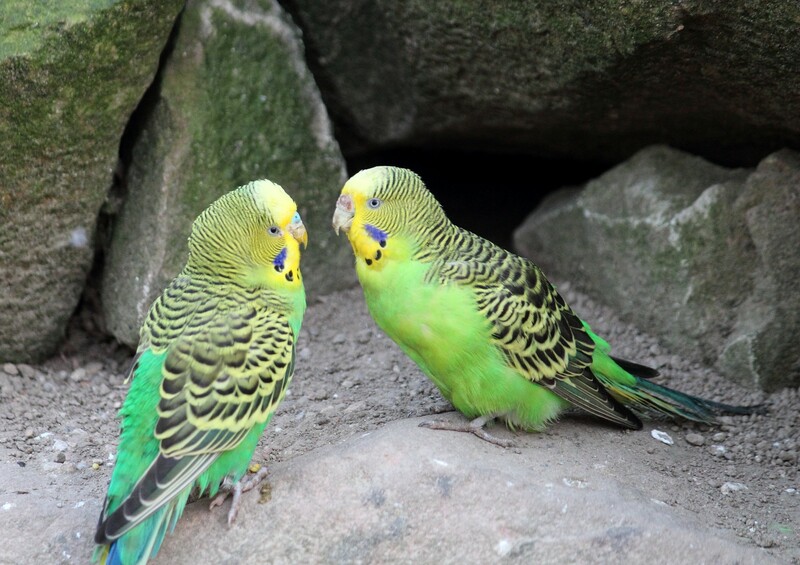 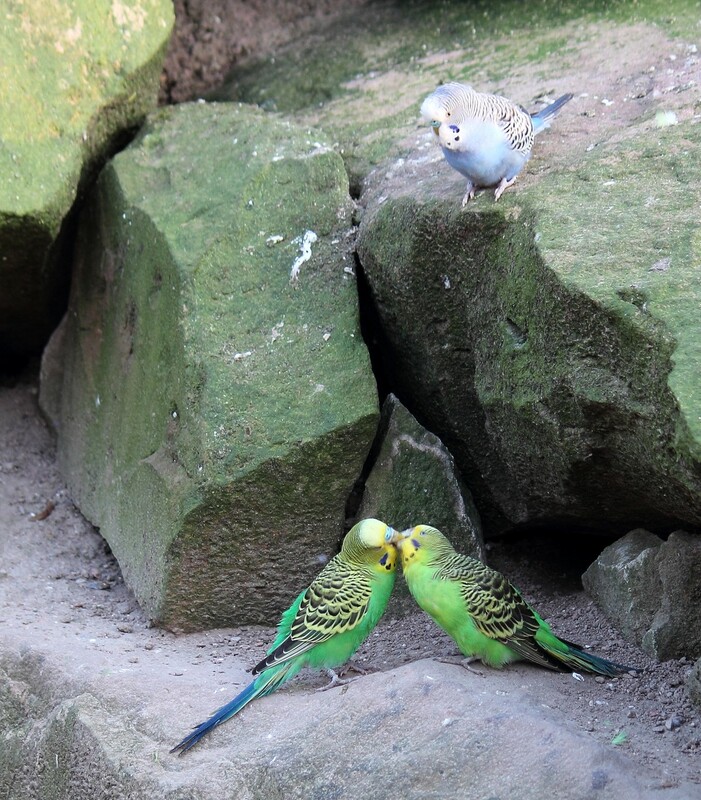 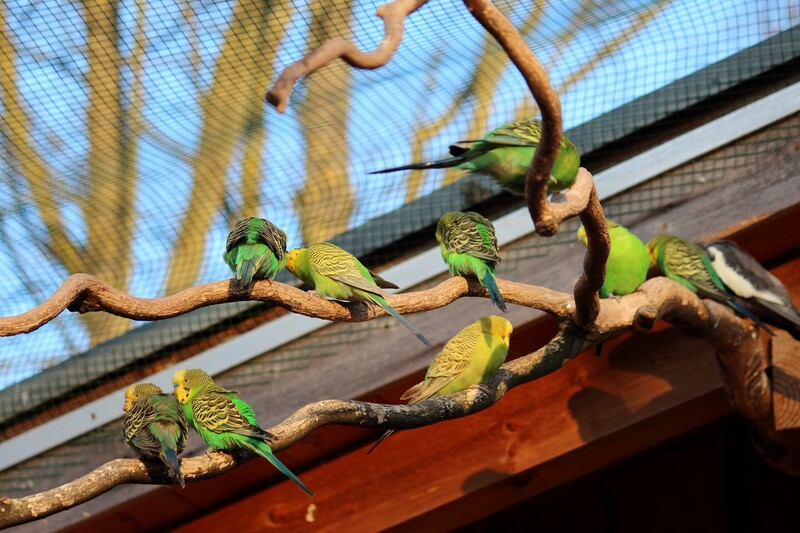 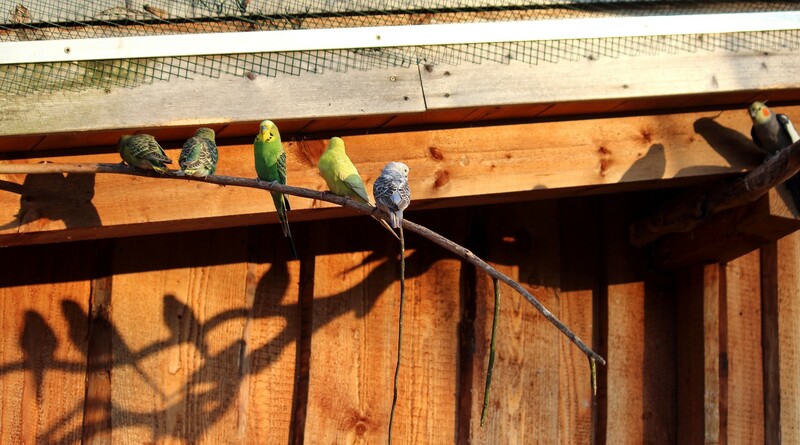 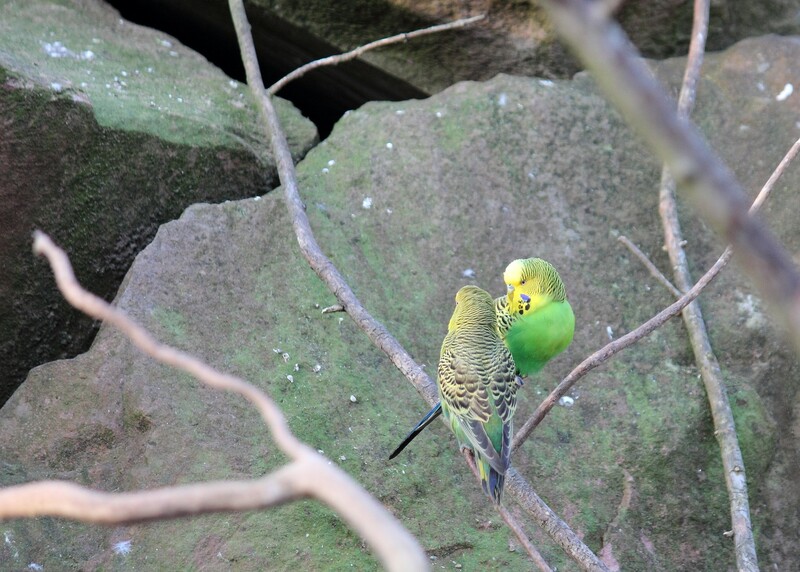 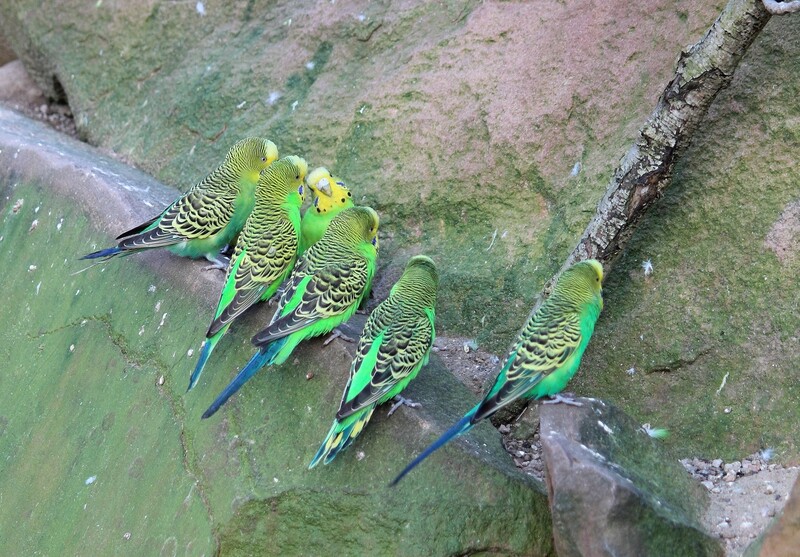 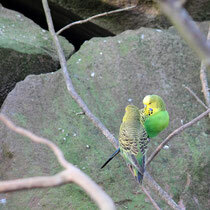 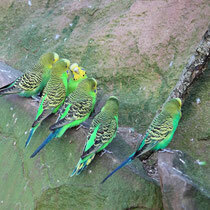 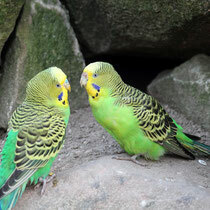 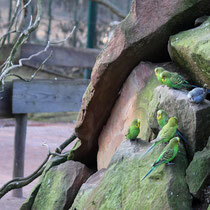 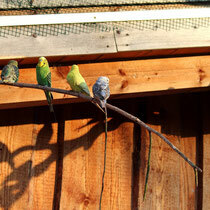 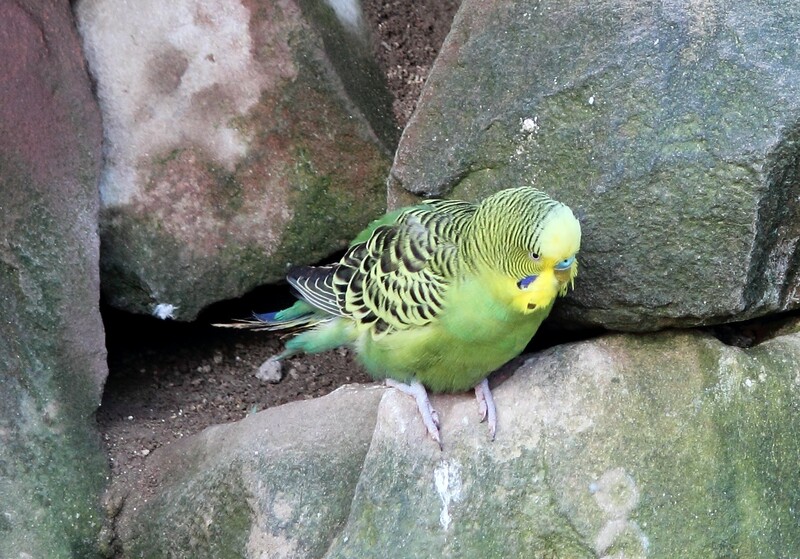 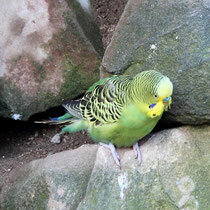 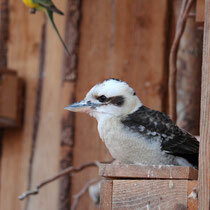 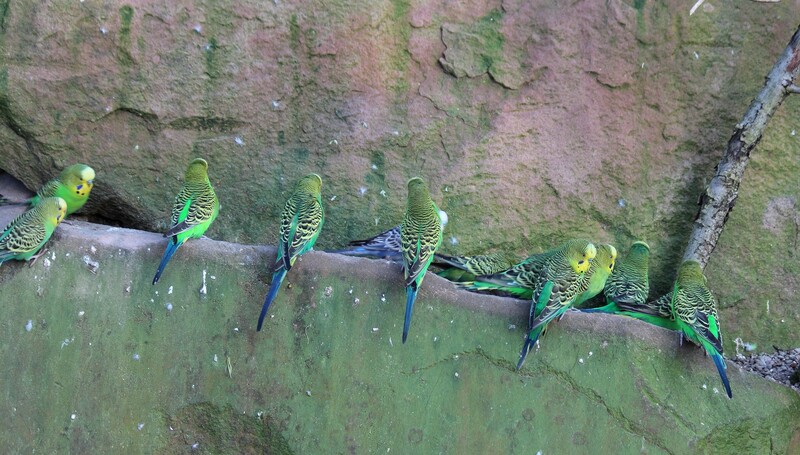 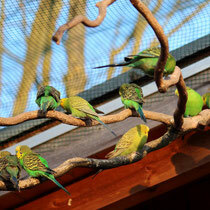 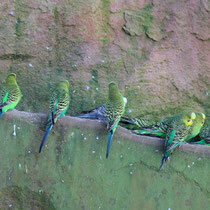 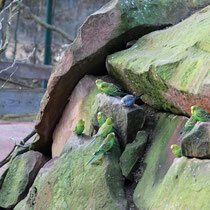 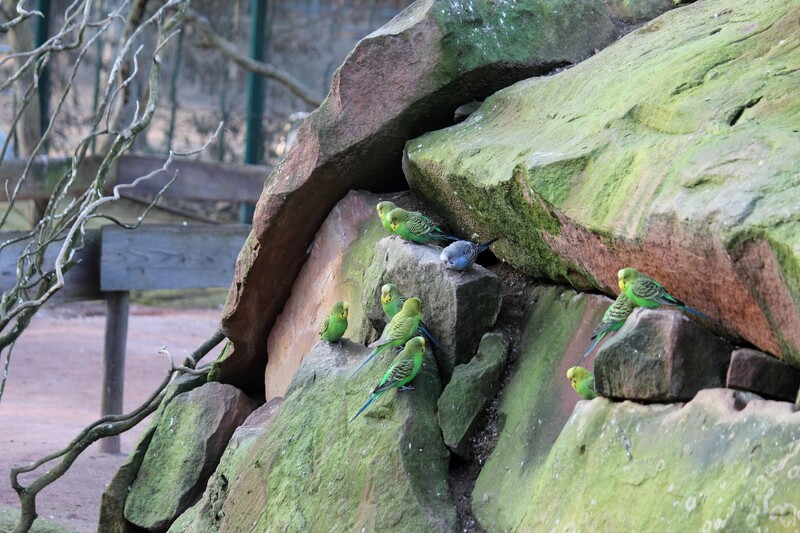 They have an aviary that you can walk into - which is fun with all the budgies flying around like crazy. 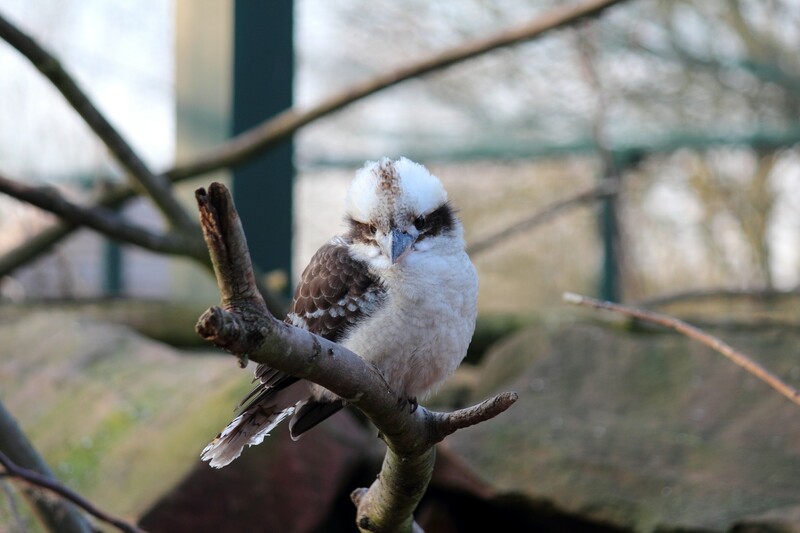 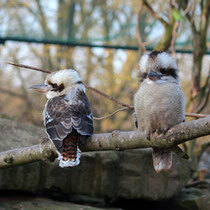 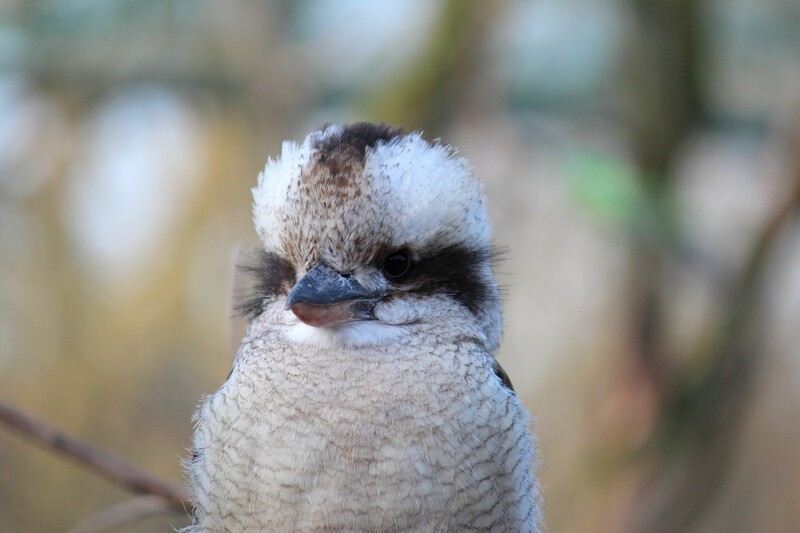 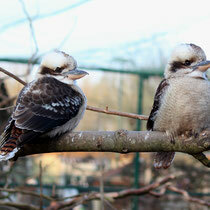 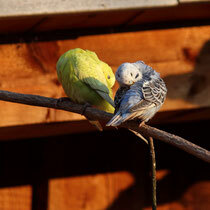 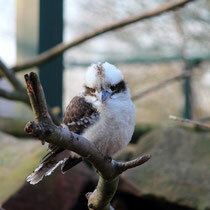 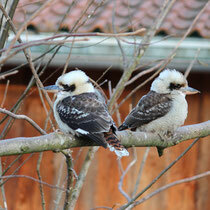 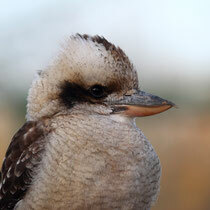 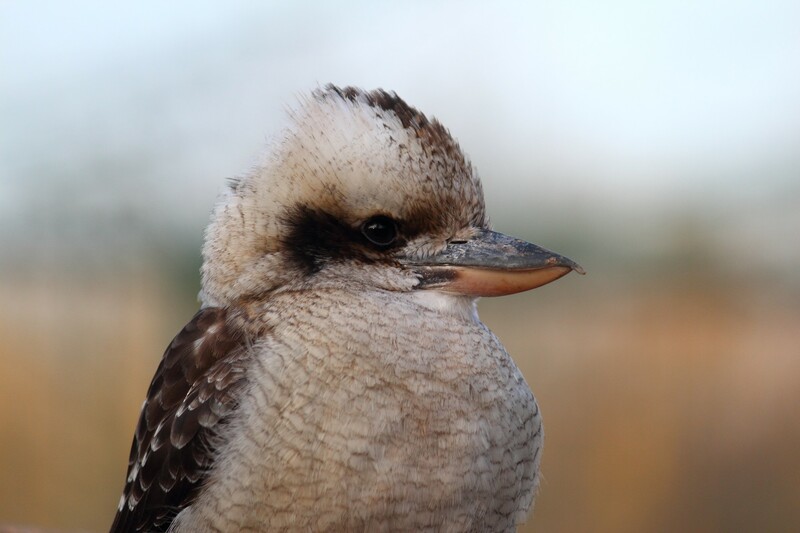 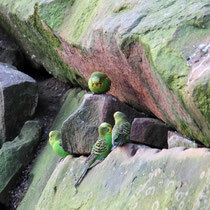 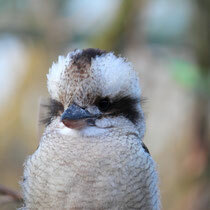 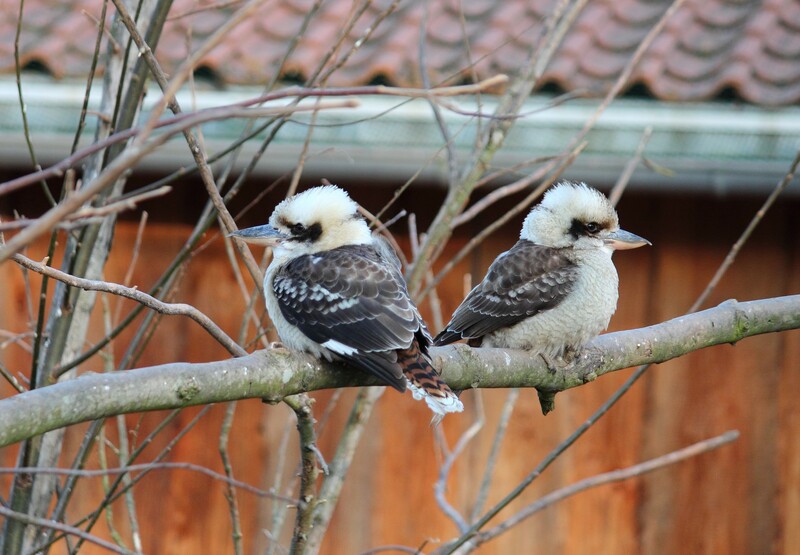 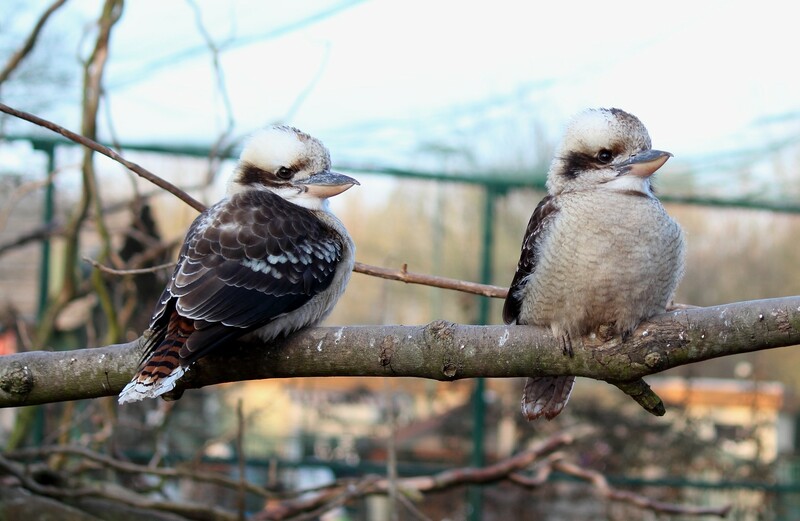 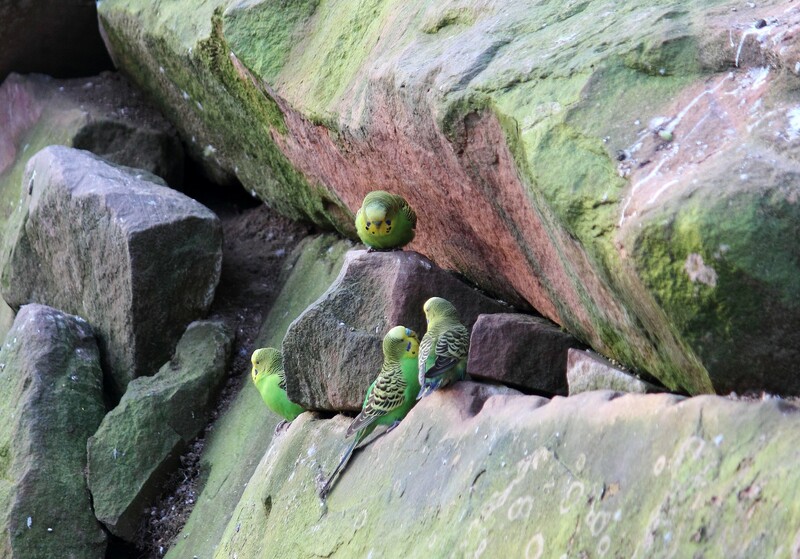 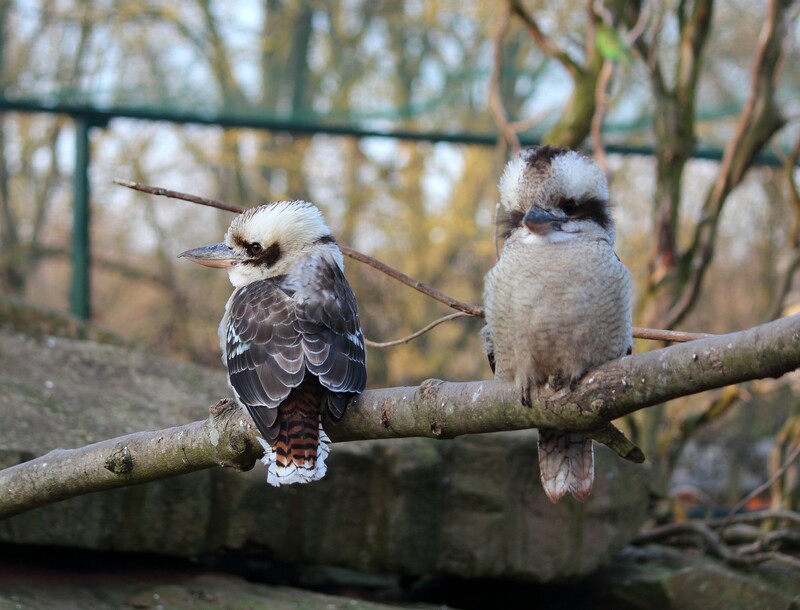 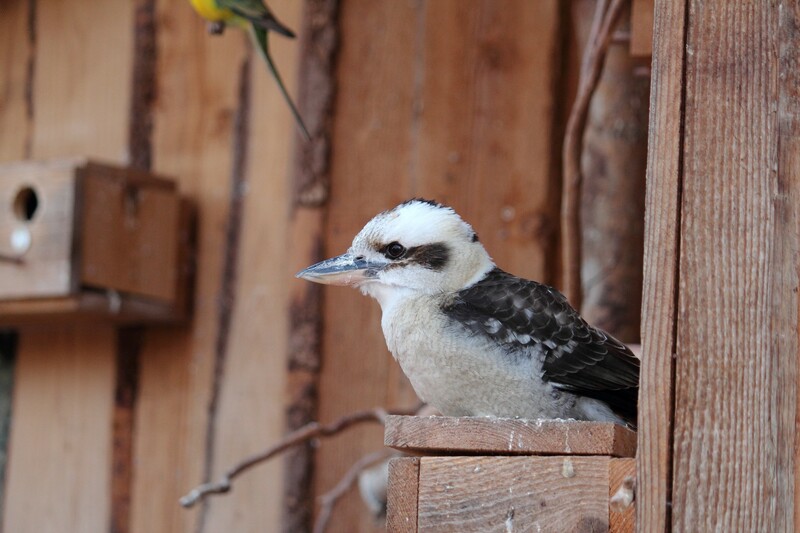 No idea what kind of birds these are - but they looked fluffy enough to not feel the cold. By now it was getting really chilly and the light got worse so I made my way to the exit - and encountered this goose. 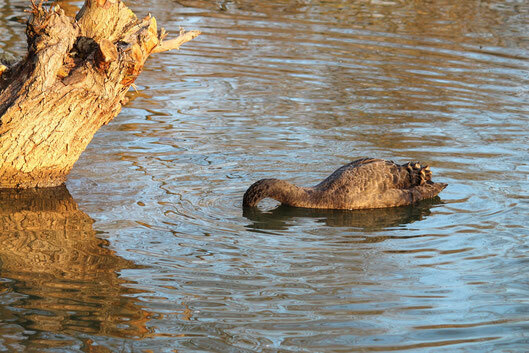 It stayed down so long that I thought it might have drowned, but no, at one point it emerged again. On my way home I took a wrong turn - and all of a sudden saw these two resting at the edge of the forest. 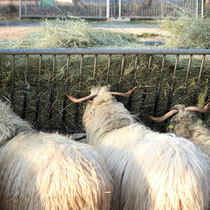 ... they had left already. 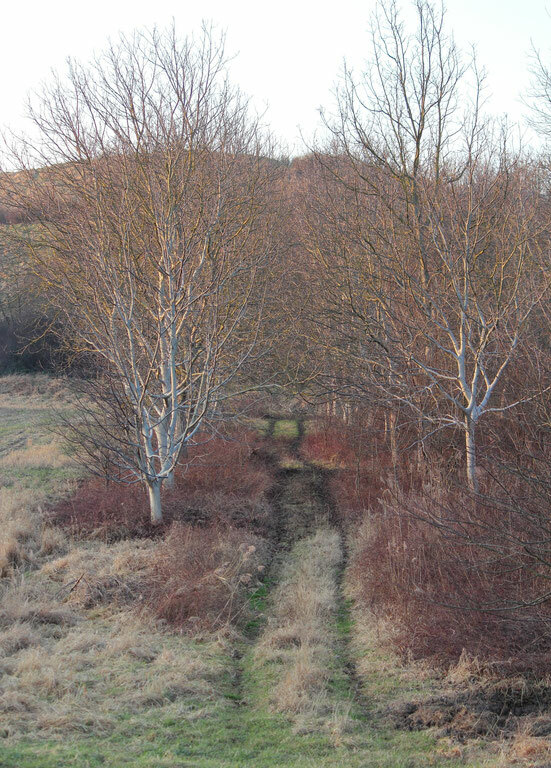 It was not really bad though, because due to following the path to its end I got to see this beautiful little alley. 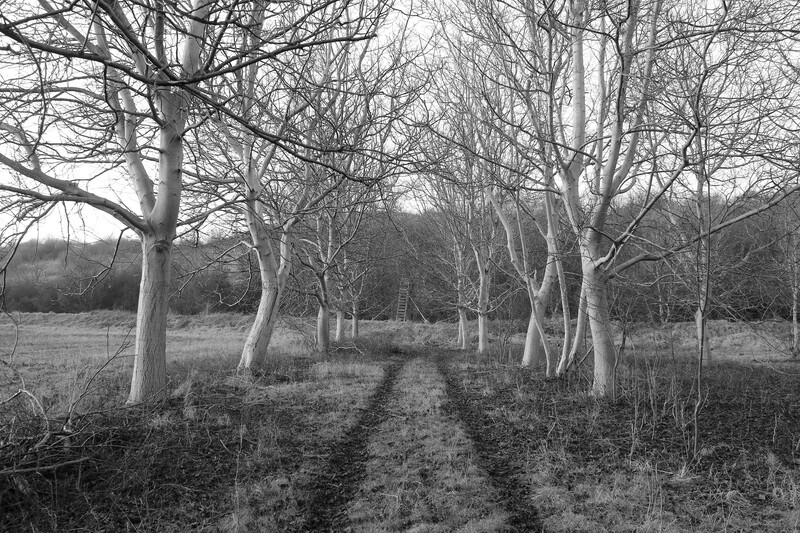 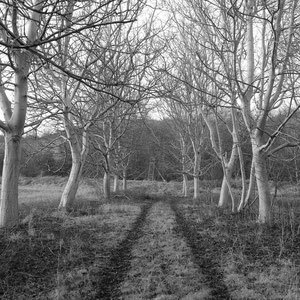 The last view across the meadow with the sun shining through the trees - beautiful.